Moodie Outdoor Products proudly supports Kidsafe - The Child Accident Prevention Foundation of Australia. 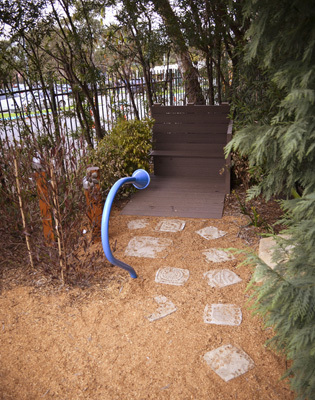 Moodie Outdoor Products has been warmly thanked by Kidsafe NSW for the provision of a hidey cubby and shade cover as part of their NSW Demonstration Playground renovation. “Your support is greatly appreciated and provides to the on-going efforts of Kidsafe NSW to educate and inform the community about child injury prevention in the playground,” said Christine Erskine, Executive Officer of Kidsafe. 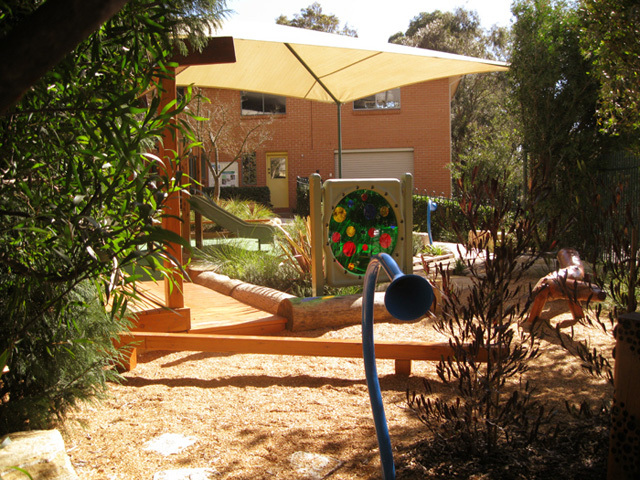 Moodie donated a cream, soft fabric shade cover and a cubby house made from grey Roocycle - a wood-plastic composite of 98% recycled materials - after being approached by the Kidsafe team earlier this year. “They were looking for community support and I thought it was worthwhile to contribute to community facility upgrades,” said Warren Moodie, Director of Moodie Outdoor Products. Specialising in the fit-out of children’s playgrounds, Moodie Outdoor Products is a one-stop resource of modern and safe play environments.